Before I get started, I want to thank The Squid Boy for doing a fantastic job writing the blog for the last three days. Don’t forget to follow him on Twitter @thesquidboylike. Now I’m back to ruin all his good work attracting people to the blog. There’s really only one thing to talk about with Arsenal at the moment and that’s injuries. Jack Wilshere and Thomas Vermaelen are injured and again we find ourselves lamenting the loss of key players. Arsenal have required Wilshere to wear a medical boot to prevent him from rushing back to training or doing anything that could lead to a stress fracture. There’s been a lot of speculation that something is wrong with the training regimen at Arsenal or that there is epic incompetence within the medical staff. Both of those assumptions might be true. Then again, they might be wildly inaccurate. But it really doesn’t matter why we suffer so many injuries. What matters is that we do suffer a seemingly disproportionate number of injuries and they tend to last far longer than initially believed. However, it’s not the number of injuries that really causes the problem at Arsenal, it’s the particular players afflicted. With all due respect to Abou Diaby, we are more than equipped to deal without him for a few days, or weeks, or months. When Tomas Rosicky was out for 18 months it was a blow to his career, but frankly, it wasn’t cataclysmic for the club. Even Theo Walcott’s injury problems haven’t had an insurmountable impact on Arsenal over the last few seasons. Unfortunately, there have been other injuries that have stopped the club’s past few seasons from culminating in parades featuring open top buses. In every team there are a few players you feel are indispensable. Players without whom, the team cannot succeed. You could argue that Arsenal needed four specific players in the side to compete for a title last season. If Van Persie, Fabregas, Vermaelen and Szczesny had played 38 games last season, we might well have done enough to win the league. But they didn’t, so we didn’t. Instead, Van Persie and Cesc made 25 appearances, Szczesny made 15, and Vermaelen made 5. Those might be the most important statistics from Arsenal’s 2010-11 season. If Van Persie had played the first half of last season like he played the second half, we may have entered the run-in with a lead over our rivals. That could’ve given us the confidence to push on and win the league. Would we have shipped three goals at home to WBA if Thomas Vermaelen was leading the defense? Hard to imagine. Even harder to imagine we would’ve been historically poor on set-pieces. Or that we would’ve let a two goal lead slip to Sp*rs at home. Or a four goal lead slip at Newcastle. I don’t mean to rehash the hardships of last season, but there were definitely points dropped due to Vermaelen’s extended absence. Then there’s Szczesny. Just as we began to see a goal-keeping star emerge, we lost our pole in the goal to a freak finger injury at Barca. I don’t need to remind you what happened after that. But I seem to remember something about a 40-year-old, unretired German starting for Arsenal after Almunia gifted a few more goals to WBA. When a team suffers injuries, other players are forced to step up and fill the void. Squad depth is absolutely essential in modern football and no team can win the Premier League without having quality beyond the first XI. But every team has players who are so intrinsic to their success that an entire season can be lost if they are out for a prolonged period. I would suggest that Arsenal’s problems over the last few seasons haven’t been related to the number of injuries we’ve suffered, but the specific players that we’ve lost. Last Sunday we saw just how hard it can be to compete when a few key players are missing. Once again we face the grim possibility of being without key players this season. 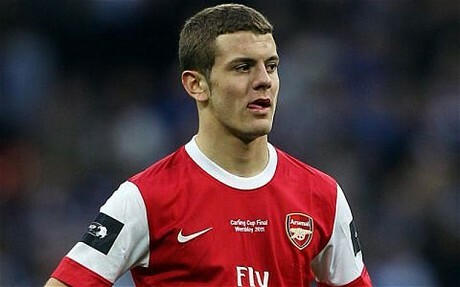 This time it’s Jack Wilshere who’s causing the biggest worry. Jack is now expected to be out up to 3 months, but some reports suggest that his season could be in jeopardy. Not only is this a massive blow to our current season, but it’s also a blow for the player. He’s at a crucial period of his career where he seems to improve on a weekly basis. We’ve seen with Aaron Ramsey what a year out of the game can do to a player’s development. That’s not something we want to see with Jack. We won’t just miss Jack’s quality, but also his work-rate, passion and energy. Midfield is an area where we just lost one of the best players in the world, and we can hardly afford to see our second best midfielder missing almost a third of the season or worse. But Jack isn’t the only concern we have now. There’s another player who could be “Vermaelened” and it’s Thomas Vermaelen. He pulled out of Belgium’s international fixture over the weekend. It could just be a minor knock that kept him out, but there are reports of a possible achilles set-back. I refuse to believe that until I hear it from the manager, but considering how immense he’s looked when he’s played this season, his loss would be extremely deflating. His leadership is almost more important than his quality, and while I’m excited for Mertesacker to begin his Arsenal career, any lengthy absence for Vermaelen could create some anxiety-inducing scenarios. Let’s just say it brings Squillaci back into the first team picture and leave it at that. If you asked me which two players we could least afford to lose this season, Jack and Vermaelen would be the first on my list. Perhaps they will both be back sooner than expected, but if they are not, then it’s very worrying. It also completely changes my expectations for our season as a whole. With Jack and Vermaelen in the starting XI regularly, we have a chance to compete at the highest level. But without them, it’s hard to see the team being able to produce consistently excellent performances. They are the heart and soul of our midfield and our defense respectively. Now for the part that really annoys me. I can just about accept that our injury situation is bad luck. I’m not a doctor or a club insider and I have no proof that there’s any negligence on Arsenal’s part that has contributed to our spate of longterm absences. But I find it very difficult to accept how the club talks about our injuries publicly. In a summer of terrible public relations for Arsenal, this is another classic example. Last season we sat around listening while the manager told us Vermaelen would be out a few days. Then a few weeks. Then a few months. Then he was nearly back in January. And then the season was over. There’s no way the club was as clueless about his situation as they acted. This time around, we’ve been told all kinds of conflicting stories about Jack. We’ve been given no clear indication of what’s wrong with Vermaelen either. As fans I think we’re have every right to expect an honest appraisal of our injury situation. But we rarely get that. Can anyone remember why Kieran Gibbs is out right now? Any idea how long he’ll be out? It’s all just a little disappointing but not entirely surprising. I can understand why the club must operate in a somewhat clandestine manner in some cases. However, the way we’ve been left in the dark over transfers and injuries lately has crossed the line from nondisclosure to outright dishonesty. It’s always upsetting to learn that an important player is injured. It’s even more upsetting to learn that they’ll be out long-term. But in almost every situation, it’s usually better to under-promise and over-deliver. If you tell us a player will be out for 3 months and he’s back in 2, that’s easier to take than telling us he’ll be out a few days and losing him for a season. How far we go this season might once again come down to our luck with injuries. Already we’re off to a bad start. It’s a bitter pill to swallow, and one made all the more difficult to take when coupled with the frustratingly inaccurate information disseminated by the club. Here’s hoping they don’t have too many more injury updates to deliver in the coming months. Oh, and maybe we’ll see Diaby back soon. If I remember correctly, 10 weeks ago we were told he was going to be out about 10 weeks. Should we expect to see him playing for Arsenal any day now? I won’t hold my breath. This entry was posted in Uncategorized and tagged Injuries, Jack Wilshere, Premier League, Thomas Vermaelen. Bookmark the permalink. We rely more heavily on key individual players than the other team in the top4. Fabregas eventually crumbled under having the weight if the whole team on his back. At least we’ve started addressing the issues. Mert is another dominant CB – just hope therumours about us being in for M’vila and Hazard in January are true. Thank you for pointing out the dishonesty of the club in relation to such matters. It’s incredibly annoying and disrespectful. I think problem may have been because our midfield contains players like Diaby, Rosicky, Denilson etc which have been spending majority of their time on treatment tables etc and into that include Ramsey who was rather unlucky but he also had to sit out whole season. Now what this has done is put all that work load of the midfield into remaining midfielders like Wilshere ,Cesc etc. How many of us expected Wilshere to play so many matches last season? He had to play that many because of the above situation. Now the work load that had to be divided and taken by 7-8 players was eventually and most of the time was taken by 3-4 players only. This is the reason which lead to Cesc getting injury prone and now Wilshere getting injured long term. Even Wenger admitted that he knew Wilshere was in “red zone” but he had no choice but to keep him playing. So till the time we have this lack of balance where half of your midfield is spending the majority of the season on treatment tables other half of your midfield will suffer. We should have let Diaby etc go sometime back and bought in a good and less injury prone squad player so that we could rest our key players and not run them into the ground.